OAREX’s latest study of ad tech payments across the digital media ecosystem reveals that ad networks are paying later than ever. One alarming statistic is that payment delays increased by an average of 12% in Q4 2017, when media companies need money the most. The broad conclusion is that late payments (beyond stated terms) are endemic to the industry, and ad tech companies are paying later and later. Email for Data? We Think That's A Fair Trade. 55% of Demand Partners pay late, 31% pay early, consistent with earlier findings. 20% of Demand Partners are always late and 27% pay late more than half of the time. 80% of Demand Partners have paid late at least once in the last 12 months. 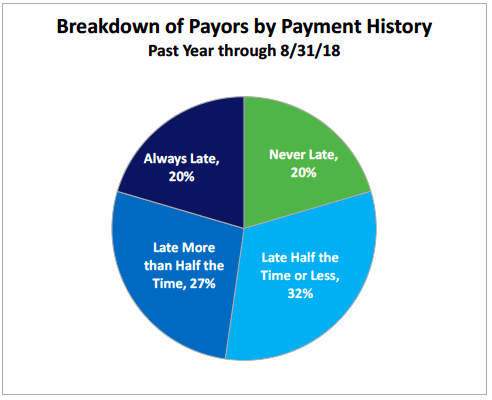 61% of all payments were late during Q4 2017. Late payments are getting later. The average late payment was 7.7 days vs. 6.5 historically. Connatix pays 9 days early on average (see Exhibit A for more details). You can download our ad tech payment report here, which includes a breakdown of the data by ad network. The most important factor to success for a publisher or app is cash flow. Most have their cash cycle down to a science. The only factor to growth that many of them are missing is readily available capital. With access to capital, they know that for every dollar spent it returns a dollar + a margin (also known as return on ad spend or ROAS). Without access to capital, they know growth will be hindered or delayed. Who has time for that? So in response to the market place, OAREX now offers up to 90% of ad revenue paid weekly. During a 60 day period (the average wait time to get paid), publishers can invest every $1 one time. However with our weekly payments, they can invest the same dollar 8 times. Naturally this will lead to exponential growth, provided the margins are there. Choose your weekly convention (7 day period), ending any day on Sunday through Thursday. Receive funds for the prior 7 days, on any business day, direct deposited into your bank account. Control how much funding you need – just let us know. After we get paid from the platform, we will deposit the remainder into your bank account, minus our fee. Our fees average $250 per $10,000 in ad revenue, per month. Advancing ad revenue and accelerating the receipt of your revenues is almost necessary for a high potential publisher or app. Just imagine reinvesting $8 into your business for every $1 you have. No dilution of equity, no personal guarantees, no brainer. We believe the sign of a good business is one that responds to its customers and demand in the marketplace. While supply side economics once had it’s place in our economy (and arguably still does with some tech stuff), gone are the days of “build it and they will come”. So in response to the marketplace, we’ve raised our advance rate from 80% to 90%. This means more money faster for our clients. The way OAREX works is that we simplify payment terms for pubs by paying ad revenue from all partners on the same day. Instead of getting paid on net 30, net 45, net 60, net 75 and net 90 from multiple ad networks, we will pay you 90% of it on net 1, weekly or monthly. We then collect payment from your ad partners. We used to cap the advance rate at 80% of the invoice value, and have since raised it to 90% for two main reasons. First is that with an 90% advance rate, pubs can reinvest more proceeds into traffic and user acquisition campaigns. This is the obvious reason for bumping the advance rate to 90%, and what we heard most from the market. 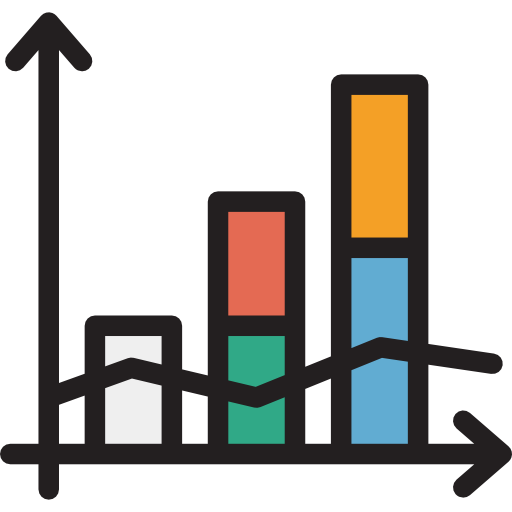 With a 90% advance rate, pubs can accelerate growth way faster than if they are receiving 80%. Every dollar matters. Secondly, and perhaps not so obvious, is that with a 90% advance rate, pubs need a smaller margin to operate with net positive cash flow. At an 80% advance rate, pubs have to operate at 25%+ margins to make up for the 20% they are not receiving from OAREX. However with a 90% advance rate, pubs only have to operate at 12% margins to have net positive cash flow. At a 12% margin, pubs can deploy more of their capital and make up for the 10% they don’t receive from OAREX. Compare with an example at a 90% advance. With the same assumptions, you can see the growth differential when we give the clients the extra 10%. 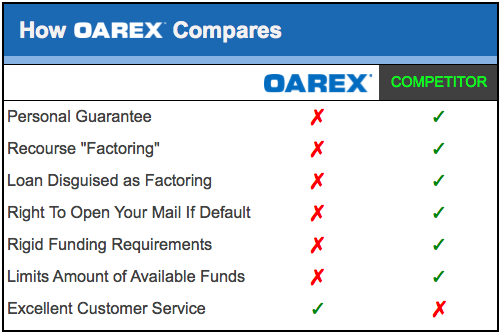 Clients can grow 2,042% with a 90% advance from OAREX, versus 420% with an 80% advance. We’re glad we have the flexibility to provide the market with what it wants. We will continue to be flexible with clients and dynamic in our product offering, to assure the digital media ecosystem with the best product on the market. Inquire today to see if you qualify for 90%.